Join Tekes from the D.C. area for the D.C. Alumni Association's Annual Founders' Day Banquet. The lunch program includes the presentation of the Jack & Rachel Dart Academic Achievement Award and a keynote speaker. Guests also have the opportunity to meet new Fraters and their guests. 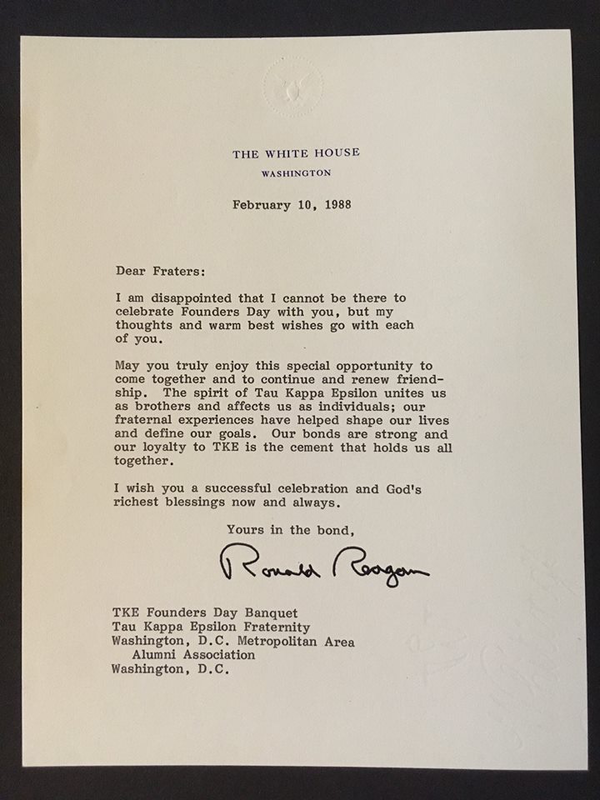 Bonus: Here is a little piece of DC TKE History. Join us four the Founder's Day Banquet and we can all share more stories, history and trivia!